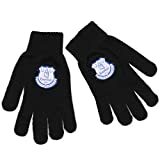 Pair of Knitted Gloves with Team Crest Logo on Hand – Adult One Size Fits All! Comes with Official Club Shop Tags! This entry was posted in Everton and tagged EVERTON, Football, Gloves, Knitted, Official, Team by Footy Star. Bookmark the permalink.